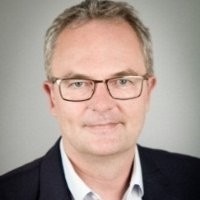 Gilles Le Cocguen is the head of EuroQuity at Bpifrance, the matchmaking service for companies to promote and match with investors, SMEs, research laboratories and business supports, especially in an international context. Gilles created several ICTs companies such as Smartline Systems (in the field of cloud computing) and VocalFruits (it turns XML feeds into Voice feeds). He was also Senior Manager of the dot.com activity at Valoris (Sopra Group). Morever, Gilles was the CEO of Servia, a European B to B retail network, gathering 30 companies based in France, Great Britain, Spain, Poland and Ukrain. In 2007, he started working at OSEO (one of the four entities from which Bpifrance outcomes) as Head of Digital Services and Events. When Bpifrance was founded in 2013, Gilles was appointed Head of International Partnerships and Services. Gilles is graduated from ESSCA (France) and from Dublin City University (Ireland). In addition, he holds a DEA in Economics at the Pantheon University (France).